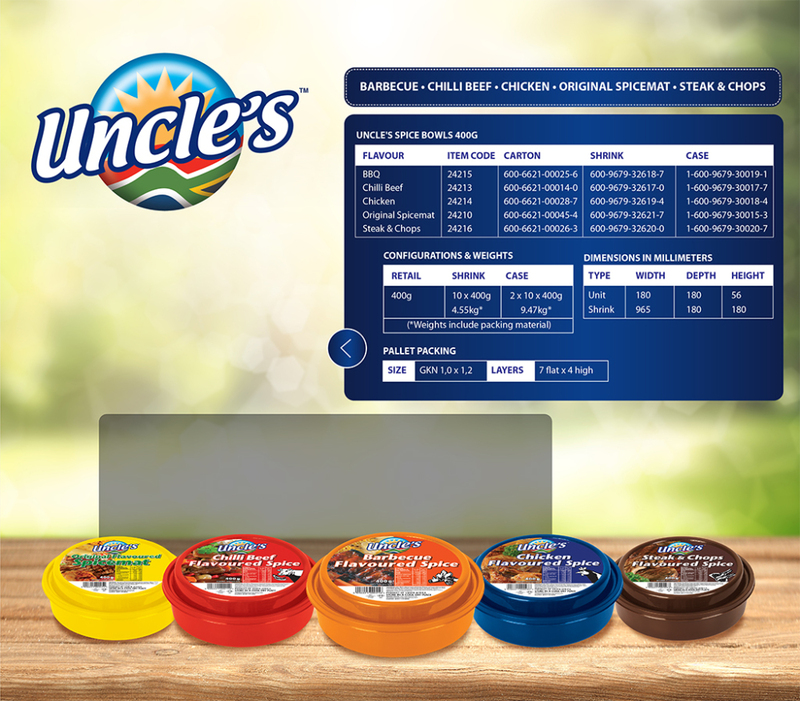 Uncle’s Spice Bowls contains a tasty blend of quality spices that are blended to create a mixture that will enhance any meal. The mix contains a unique blend of tantalising tastes that will make any meal special. The cherry on top is that the container with a tight, clip-on lid has been designed for use afterwards as a plate or a lunch box.